Our sailing ships provide a scheduled service on the Wadden. The schedule is set according to the tides as we can only sail across the sandbank during high tide. The island hopping on the IJsselmeer and the Wadden Sea is done with two sailing clippers: the Avontuur and the Willem Jacob. 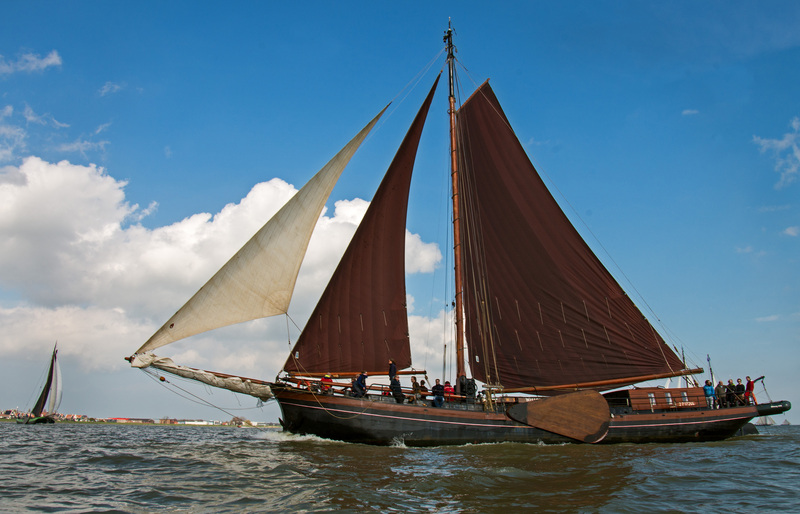 Both of the ships are more than a century old and offer you a unique chance of exploring the Wadden Sea and its islands on an adventurous way. Aboard you can help the crew with handling the sails. There will be a cook taking care of good food. You can sleep aboard in your own bunk with sheets. 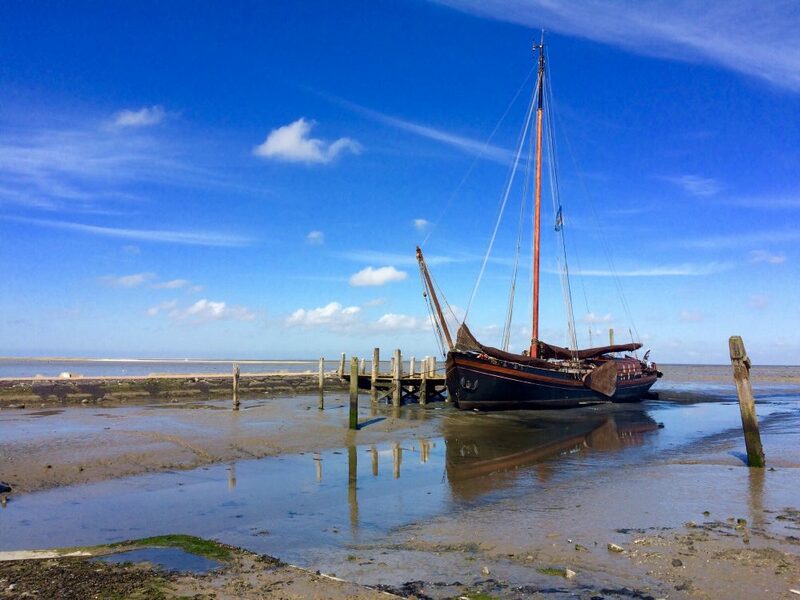 A relaxed way to island hop on the Wadden Sea. Sailing holidays and island hopping, a fantastic vacation for young and old. You get in touch with other guest easily; you see the islands and the stunning Wadden Sea. Enjoy with a good book on deck or help with handling the sails. Use our search and book module to get some good tour suggestions by telling us when and where you want to travel. The island hopping on the IJsselmeer and the Wadden Sea is done with two sailing clippers: the Avontuur and the Willem Jacob. Both of the ships are more than a century old and offer you a unique chance of exploring the Wadden Sea and its islands on an adventurous way. Aboard you can help the crew with handling the sails. There will be a cook taking care of good food. 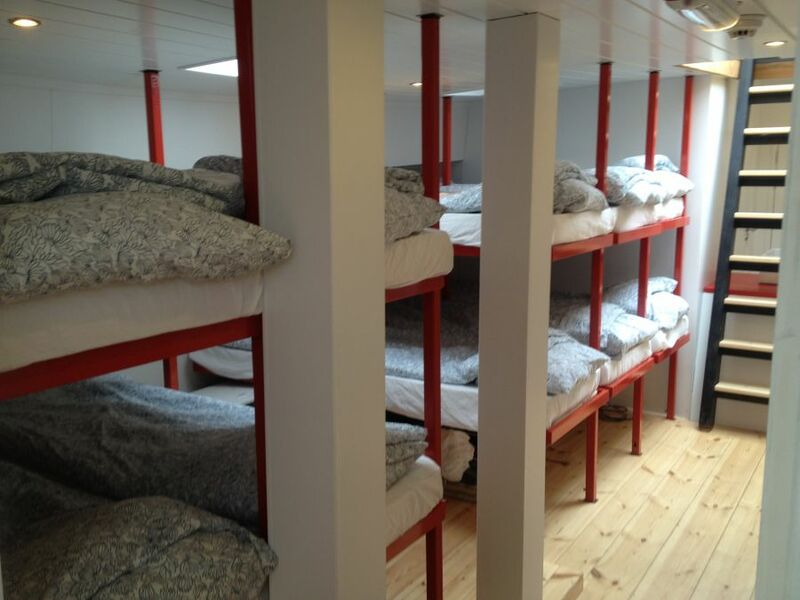 You can sleep aboard in your own bunk with sheets. A relaxed way to island hop on the Wadden Sea. Tom, Marleen and Johan form the crew on the sail ship the “Avontuur”. They will provide the scheduled service between Amsterdam, Enkhuizen, Texel and Terschelling. The “Avontuur” was built in 1909 as sailing carriage. Since 1980 the ship has been remodeled and now sails groups over the Dutch waters. 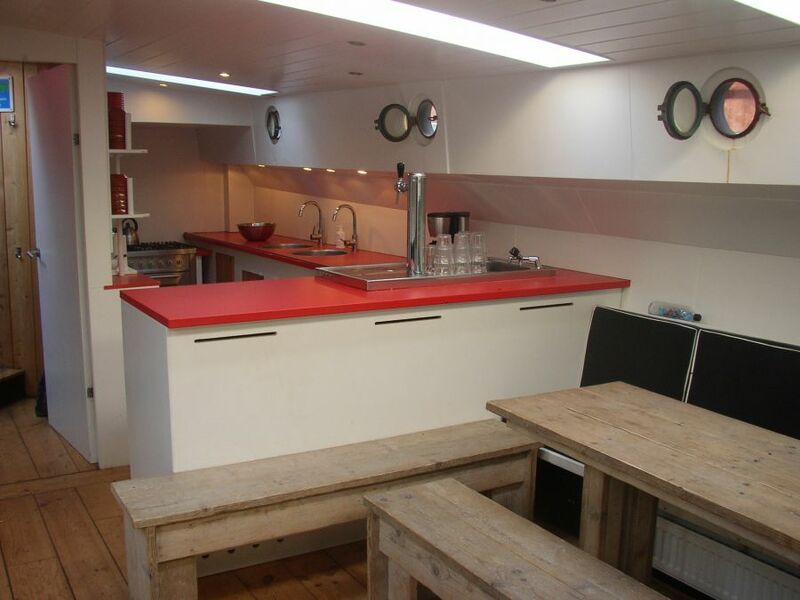 The Avontuur is equipped with comfortable 2 and 4 person cabins. There are two showers and two toilets available for passengers. More information about crew and ship can be found at www.avontuur.nl. Phone on board is 0031 06-14045800. The Willem Jacob, build in 1889 is completely turned upside down during the last five years. By now the ship has a new bottom, the interior is all new, and there is a new and quiet engine. The outside is restored as good as possible. There is an ongoing wooden hatch from bow to aft, the sides of the accommodation are covered with wood en in 2011 the new mast trunk was sounded. More information about crew and ship can be found at www.willemjacob.nl . The ships are recognizable by the big Eilandhopper flags on the mast. The Avontuur and the Willem Jacob have a black hull with a one mast. The Avontuur departs from the “van Diemenkade” Amsterdam. It is an half hour walk from the central Station. You can also take bus 48 in the direction of Sloterdijk. At the stop “Barentszplein”. From there it is a 5 minute walk towards the vessel. The Avontuur is anchored next to the Gependam in Enkhuizen. This is close to the train station, the tourist information and the place where the ferry between Enkhuizen and Stavoren arrives. There is free parking behind the train station. The Avontuur wil be moored in the port of Oudeschild, a fishermens harbour. Most of the time near the tuktuk-shop. 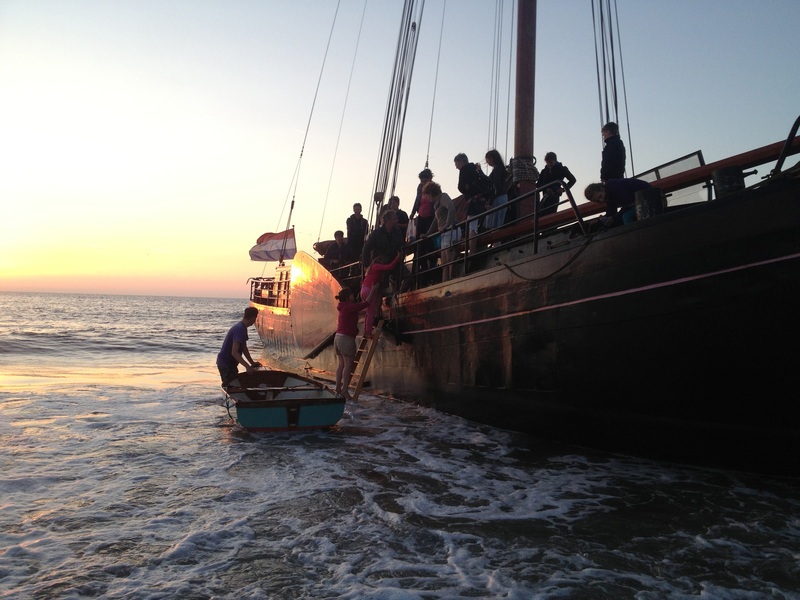 The Willem Jacob will be moored in the marina of Vlieland, at the southeastern part with the other charter ships. When crowded, it is possible that you have to cross the forward decks of a couple of ships. Make sure, that you take the right row of ships. The village/ferry is approximately 1.5 kilometers to the east. The ships are usually docked on one of the two wooden piers in the harbor of West Terschelling. Sometimes however, we are docked at the terrain of the shippingcompany Doeksen or at the loading and unloading pier between the marina and the buoyaging service. The Willem Jacob is docked at the east of the new causeway, this is the old one. The Willem Jacob is usually at the causeway where the big ferry also arrives. Should we be in the marina, then you will be noticed timely. We try to give you an as pleasant as possible adventure on the Wadden Sea. To prepare you for this we want to provide you with as much information as possible. If you still have any further questions the best solution will be to simply mail them to us: info@eilandhopper.nl. You can also call us but often we are not able to immediately answer as we will be sailing so please feel free to leave us a massage and you phone number so we can call you back later. Must I be capable to sail? No, no sailing experience is required. Am I obligated to help? Participating is of course possible but in no way obligated. Do I need to take a sleeping bag with me? No, we do provide a pillow and a sheet. Never say never but on the Wadden Sea there are not so many waves. When sailing through a tidal outlet the ship might roll a bit but this never takes too long. If you are very sensitive for motion sickness you might want to think about getting some medicine at the pharmacy. Eating some ginger is a natural way to relive seasickness. Why is the tour to the next island taking so long, when I can see it from here? Rather than that, couldn’t you be asking why it’s over already, why it can’t last a little longer? The tours will take some more time because we’re sailing from port to port, not to the nearest beach. We also have to navigate in between shallow areas so we won’t get stranded. Let’s make the travel itself a purpose, not the destination. Please contact us about this first. Can I bring my baby stroller, bicycle, folding bicycle, tandem or scooter along? In the same order: Yes, yes, yes for free, yes if you really have to and no. More about bicycles below. Are there enough children’s life-jackets aboard? Yes, we always make sure there are enough life-jackets on board. We don’t have jackets for children younger than two years old. A life-jacket for these children is not obligated. Will you wait if I come too late? Please come in time, because, no, sorry, the tide won’t wait either. The best thing to do is being here fifteen minutes ahead of time. You will be welcome then as well and the coffee will be ready when you arrive. What will we do if there is no wind? If there is no wind, we will turn on the engine and motorboat to the next island. We can arrange some time to go swimming then, should our schedule permit it. Do we arrive on the mentioned time? What are we doing if it is stormy? The only thing to do when it is storming is keeping calm. If it is really so stormy that we can’t sail you can get a refund. You might also want to wait till there is less wind and we start to sail again. A roundtrip will be canceled sooner than a passage to the next island. From wind force 6 on you can get a 90% refund even if we are sailing, 100% if we stay in the port. What will we do when the port is full? Vlieland, Terschelling and Ameland have ports that might well be full in the main season. If that is the case, then we are always permitted to let passengers go ashore. When spending the night on board, we will sleep while anchoring. Sometimes we will sail another tour afterwards; it is possible then to stay ashore while we are busy with this tour. When the guests are gone, we will pick you up to anchor in front of the port. We will count a bicycle as another passenger, this way the boat won’t get too full. A ticket must be bought for the bicycle. A Bicycle ticket is half the price of a passenger’s ticket. You must be able to carry your bicycle yourself with relative ease. You will dispose the bicycle of any luggage and will carry it on and from board yourself. Bicyclists can help each other with the handling of the bicycles. The crewmember will often help a hand with the bicycles, but they aren’t obligated in doing so however. Please contact us by telephone beforehand should you want to take a tandem bicycle or other cycle that is bigger than usual along. Children’s bicycles and trailers will cost as much as regular bicycles; this is because we count these as one passenger as well. Tip: A folding bicycle can be brought along for free! When spending the day outside it is important to stay well nourished. 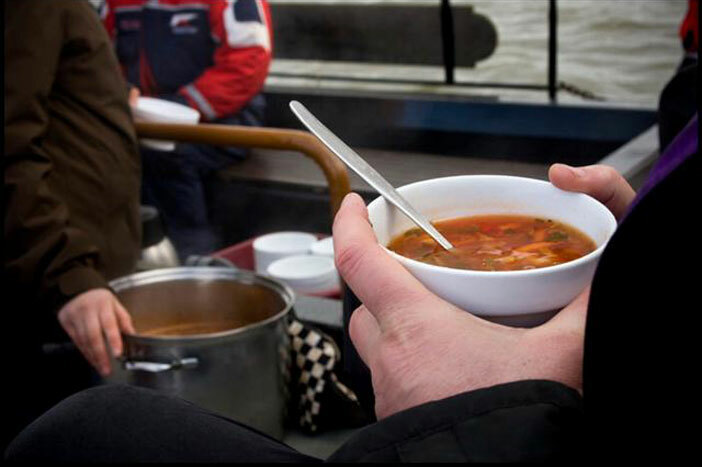 That’s why we have a cook aboard who will provide you a good meal. We mainly use fresh products for our dishes. It’s possible to select a lunch and/or diner while booking a trip via the web shop. When booking a night aboard breakfast will always be included. The meal itself is a surprise and is partially dependant on the weather conditions (a lot of wind can be a hindrance when baking a quiche for example). We will of course take diets and wishes into account while preparing the meal. Should you have a vegetarian or other diet or have an allergy, then it’s possible to mention this in the details box while booking. We eat with the whole group in an informal setting outside above outside or below deck. If people would like to help with cooking, then feel free to ask. The cook would most likely very much appreciate this. 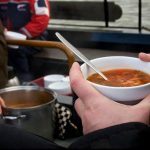 The lunch includes sandwiches and a diversion of fillings, milk or buttermilk, fruit and always something extra like soup, an omelet or a salad. This varies between the days. For example: Pasta with zucchini, salmon and a salad, mashed potatoes, an oven dish, couscous or just ‘plain and standard’ potatoes, vegetables and fish or meat. We finish our meal with a desert. Coffee, tea and lemonade are included in the price. Soda, juice, beer, wine or a drink can be purchased aboard.